The summer is heating up, and if you’re in the food industry you know what that means: outdoor food festivals! Use this list to make sure you get the right food festival supplies. We help tons of restaurants and vendors who set up booths at street fairs, wing fests, and rib fests, so we know a thing or two about the inventory needed to make that day run smoothly. That’s why we created a handy little shopping list so you can focus on what you do best: making some finger-licking, award-winning food. Just remember to stock up on the necessary food festival supplies! 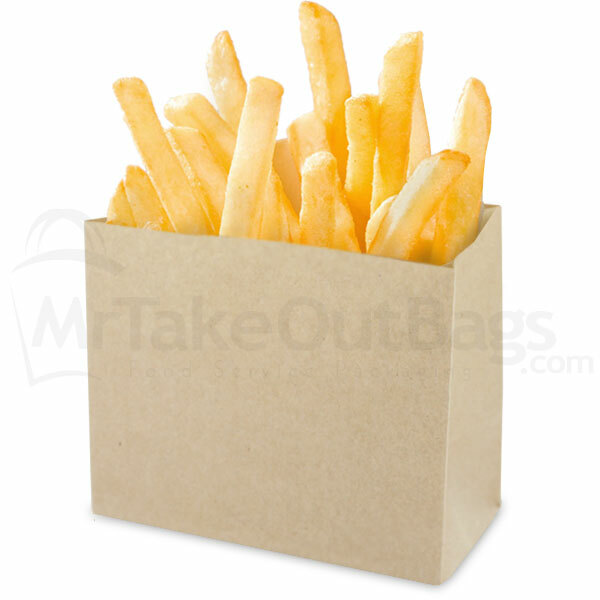 These natural kraft clamshell containers are must for food vendors. Multiple sizes make it easy to package all your fresh foods, whether it’s a snack, a side dish, or a full meal. And while they are eco-friendly, that doesn’t mean they don’t work hard. 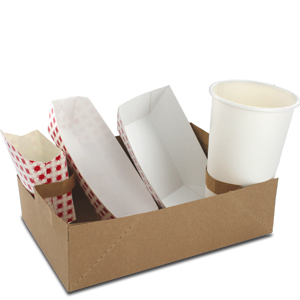 The corrugation on these boxes makes them sturdy and reliable, ready to take on some of your messiest meals. 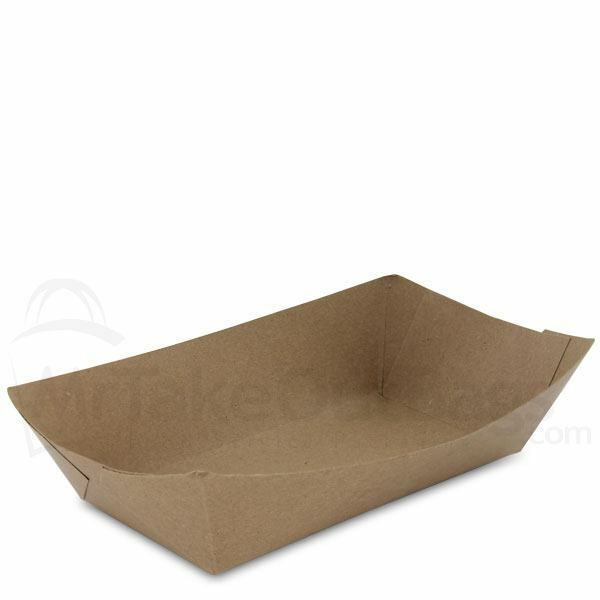 When you have customers who are about to dig right into your food, you need a kraft paper food tray. Easy handling and strong material make this paper boat an excellent choice, plus it’s one of the most ubiquitous food festival supplies you’ll see. Or maybe you prefer a checkered version? This design is a staple for any outdoor event. Need something with a side compartment for sauces or dips? These biodegradable food trays are ideal because they’re sturdy, easy to carry around an event, and eco-friendly! For larger orders that include a side and a drink, the condiment carry tray is a concession must-have. Great for sandwiches or burgers, these compostable clamshells are a better choice than Styrofoam – both for you and your customers! Easily carry two or four drinks – no juggling act required. Whether going for something chic, or a classic black look, make sure you remember to stock up on the utensils your diners will need. Slinging ribs or wings? Don’t let your customers down by offering a too-thin napkin that can’t stand up to the sauce. 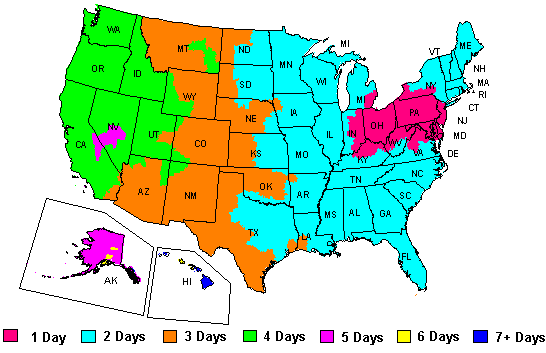 Whether you want paper or plastic, don’t forget to have bags on hand for customers with larger orders. Great for fries, of course, but also popcorn, fried singer food, or chips. Need something that’s not on this list? We can help. Give us a call at 888-321-2048 and we can help you checkoff your food festival supplies list.